Eterium has just five days left on its kickstarter campaign and still has about $10,000 to go. We have a demo available so you can get a taste of the game before you pledge. Please head over to kickstarter and help us fund this game! 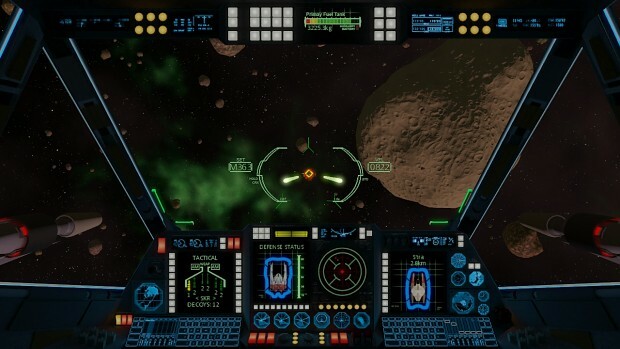 Eterium is a space flight sim in the spirit of games like Wing Commander and Freespace. The game is already quite far along in development and we are kickstarting to help us finish out development of the game. There are many aspects of the game, such as the character art, that we wish to improve. We have already completely redone the music, available in our latest demo, and we are currently working on redoing all the sound effects as well as improving the graphics, adding a new playable ship, and creating and polishing the missions. Check out our latest demo!